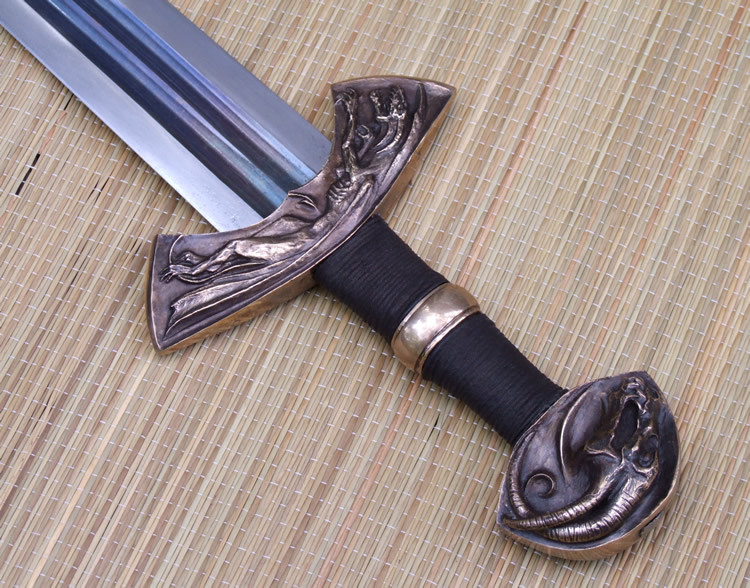 This fantasy viking sword is made with a blade from the Albion Moat sale. The blade came as an unhardened rusty blank. 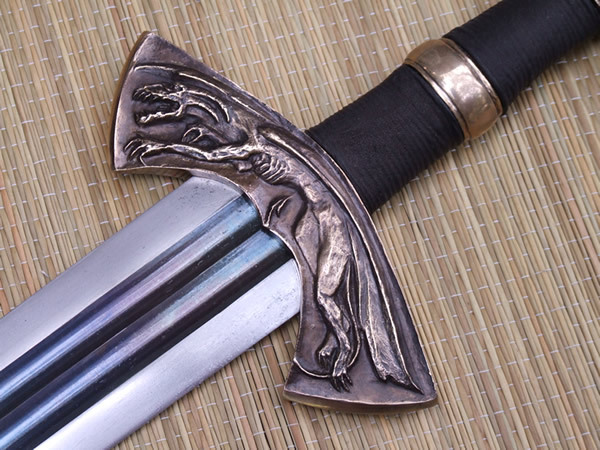 The blade is now hardened, tempered, finish ground, and sharpened. 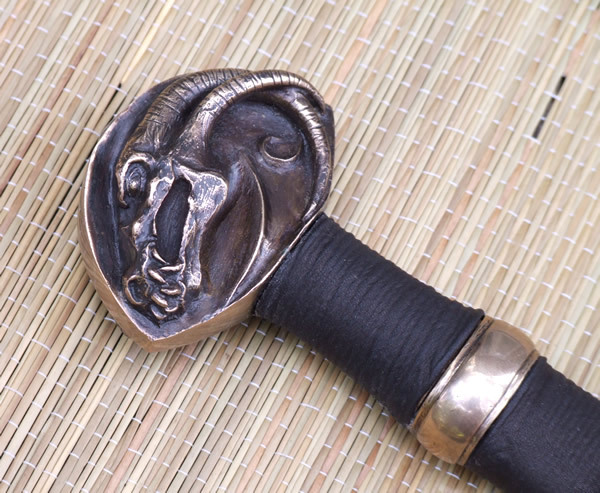 The pommel, guard, and grip ring are bronze. The cross is backpeened to the tang and the pommel is hot peened as well as back peened. The grip is wood with a leather wrap. The fullers on the blade are heat blued. 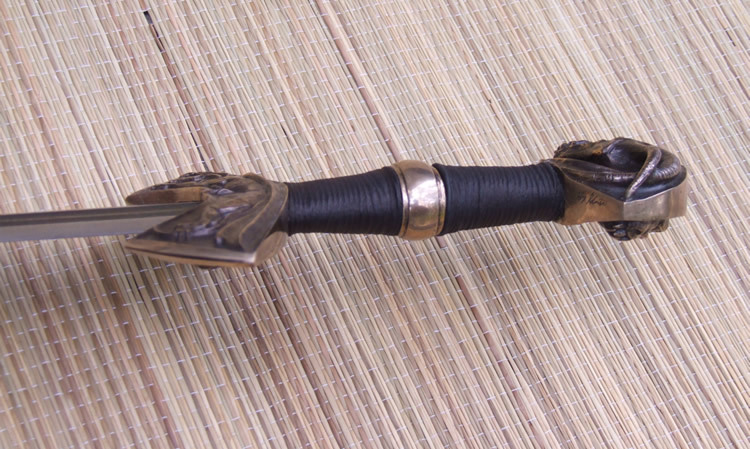 The sword has a very distinctive ring which is why I've chosen to name it Wyrmsweg. I discovered that this blade had a slight bow to it after it was hardned and have since re-tempered the blade to remove the bow. I then put a few more hours of work into the blade to sand it to a nicer finish than I had originaly left it in. 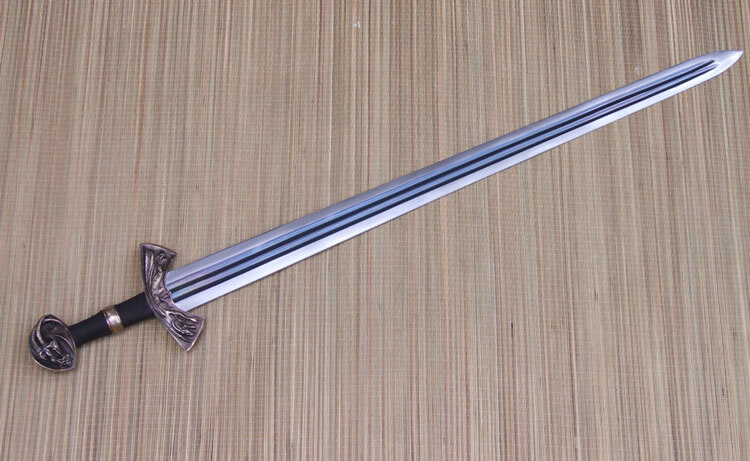 This prototype sword is sold. A new version could be made for $2500.